The American TFP > Anti-Blasphemy > Do All Our Shepherds Oppose Protests? While Cardinal Arinze’s statements are not a direct endorsement of theater protests, they do favor taking a public stand against The Da Vinci Code. His words are also a splendid refutation of the false notion that protests will give publicity to the film. Many American bishops have also shown support for theater protests. A sampling of the letters the American TFP has received is transcribed below. 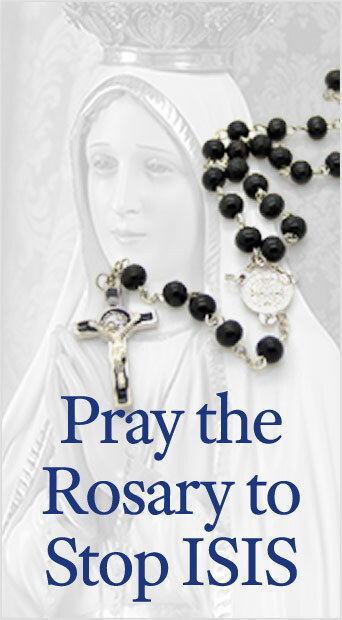 Be assured of my prayers for the work of the American Society for the Defense of Tradition, Family and Property and its America Needs Fatima Campaign, as it seeks to support the Catholic Church and uphold its traditional beliefs. I know that there will be many people involved in this campaign and I ask you to extend to them my prayerful best wishes. It is my fervent hope that, through the prayers of the Immaculate Virgin Mary and the witness of Christ’s disciples, the wavering faith of many moviegoers will be strengthened against the falsehoods depicted in this film… Please be assured of my prayerful support for the success of this protest in defense of the faith. I am very pleased to know that so many faithful people will be giving peaceful and prayerful demonstration of their faith as this film opens in theaters around the country. May the Lord bless you for your courageous stance; and know that I will hold you in my prayers in a very special way. I commend your efforts for a grassroots peaceful [action] but [one] distinctly assertive of the truth to the contrary of this presentation in theaters where it might be shown shortly. If the presence of such public witness causes at least one individual to have second thoughts about the ideological propaganda to which he or she is being subject, your effort will have been well worthwhile. May God bless and prosper you in this enterprise. 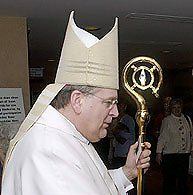 Many priests too have given substantial support to theater protests. When one lady told her priest that she was afraid to protest publicly and planned instead to pray at the theater with her hand and rosary in her pocket, he persuaded her to organize a full fledged public demonstration. He told her that anything less would be a copout. Dozens of priests have allowed protest invitations to be passed out with their weekly bulletin and at least three priests are organizing protests, themselves! Regardless of what individual clergymen may have said, it is clear that a number of clergy supports protests. Keeping this in mind will prepare protest organizers and attendees to fearlessly face naysayers who, unwilling to publicly stand up and defend Our Lord when He is mocked and blasphemed, hope to dissuade others from doing so as well. Hopefully, faithful Catholics will take full advantage of Our Lord’s offer and, confessing Him before men, receive His invaluable support before the throne of the Heavenly Father. Now more than ever, they have the opportunity to do so. Not only do they have an issue, a receptive public and detailed instructions on how to protest, but also the support of good shepherds and nothing to hold them back. This entry was posted in Anti-Blasphemy and tagged Da Vinci Code by Michael Whitcraft. Bookmark the permalink.